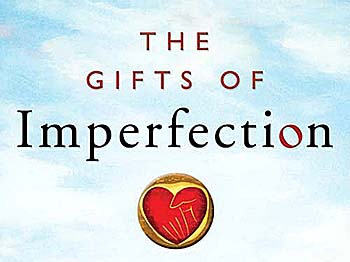 I recently finished reading The Gifts of Imperfection by Brené Brown, PhD. Brené is a researcher who has collected stories from thousands of individuals who are living, full, vibrant, wholehearted lives. In this book, Brené shares strategies to embrace your authentic self and live a wholehearted life. I believe the concepts in this book tie in nicely with a Health at Every Size® (HAES®) philosophy. I’ll explain how in this post. I recently finished reading the book Embody: Learning to Love Your Unique Body (and Quiet that Critical Inner Voice!). The book is by Connie Sobczak, co-founder of the non-profit organization The Body Positive. I loved this book. In my experience, the ability to appreciate your body is often a rate-limiting step to rejecting the diet mentality and committing to a Health at Every Size® approach. I highly recommend this book to anyone with a body!